Bluffstone specializes in enhancing the higher education experience through better living environments, by delivering upscale, student-centric communities to smaller colleges and universities. The communities include amenities that often cannot be found anywhere else in town. Students will enjoy large suites, private baths, 24-hour fitness centers and high tech media centers all in a secure, controlled access community. The developments offer on-campus and off-campus living with upscale features typically found only at or near large universities. To bring their living experience to smaller campuses, the Bluffstone team begins the process by determining the suitability of the market for our product. Once this is established, the site selection process gets underway, and well researched feasibility studies are performed by the corporate team. 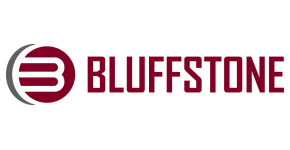 A few of the Bluffstone student housing criteria for choosing a community are: enrollment of college/university, quality and quantity of current housing serving the college community, and proximity of the project to the Bluffstone corporate offices. Upon identifying a campus that is right, the development team works to select and acquire the best location. At this point, the development team also makes contacts with local officials, university representatives, and begins to engage local vendors. As the project is underway, Bluffstone stays directly involved with the construction progress and orchestrates a detailed marketing and leasing campaign. At the open of the school spring semester, a temporary leasing office is established near or on campus, and a full time leasing specialist is hired to direct a team of student ambassadors. The student ambassadors’ mission is to educate students about the upscale student housing project under construction and to sign leases for the next school year. Bluffstone expects to have the entire new project 100% pre-leased before the end of construction. With construction typically completed mid-summer, the newly constructed property is ready for students to move in to for the new school year. The project’s full time management team and student ambassadors are ready to create a welcoming and full service experience for each resident. The student ambassadors are responsible for giving property tours, assisting new tenants with move-in, publishing community messages and sponsoring social activities throughout campus. A few additional services offered are: full service laundry, package shipping and receiving and 24-hour maintenance. This staffing model helps ensure an academically oriented, supervised environment. We place an emphasis on our premier community services, which offer a variety of educational, recreational and social activities. By promoting students’ scholastic achievement and social development, we create the intangible product parents and students desire. With daily reporting, monthly conference calls, and regular visits to the properties, Bluffstone is able to effectively supervise, continually improve processes, and ensure excellence in their communities. Bluffstone projects become a fixture of pride in the community, not just for Bluffstone, but for the schools and cities we serve. Bluffstone specializes in delivering upscale student-centric living communities. Through the culmination of development, design, construction, management, and customer service expertise, Bluffstone has earned a first-class reputation with construction partners, financial partners, and educational institutions alike. Bluffstone possesses the expertise and resources to generate solutions that optimize client, market, and finance requirements, and to address special geographical and political provisions unique to each project.